Testa Analytical Solutions e.K. announces a new version of its powerful Particle Solutions software suite that integrates characterization of 5 different particle measurement technologies - DLS, SLS, Phase Analysis Light Scattering (PALS), micro-Rheology and Size Exclusion Chromatography in one package. The new version of this popular software suite for NanoBrook series particle characterization instruments includes a host of useful new features. 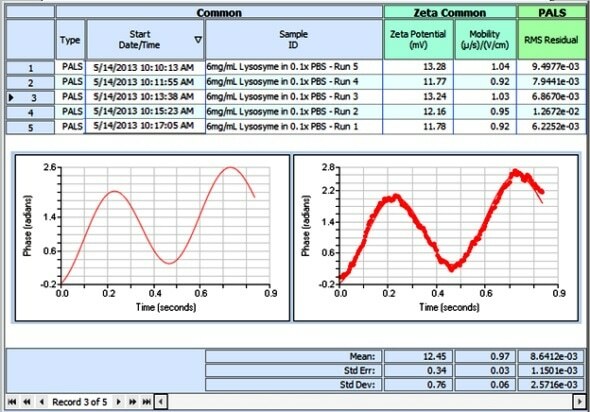 New features include Laboratory Information Management System support, Surface Zeta Potential measurement capability, Multimodal Size Distribution refinement, Health Mode post-measurement analysis, and Statistical Process Control. Safeguarding the investment of existing users - measurements made with earlier versions of the software can be imported into Particle Solutions, and then analyzed with the same powerful tools. The NanoBrook family of instruments sets new standards for characterizing proteins, nanoparticles and polymers with high performance particle sizing technologies including protein backscatter, zeta potential, or combinations including molecular weight determination of small polymers and proteins.